As students navigate the maze of public school, music educators hope many of them will find their way by participating in band. 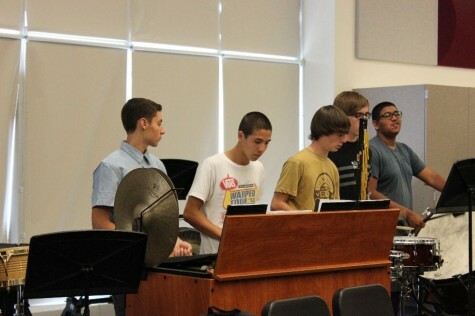 At Carlmont High School, there are five different bands that one can take as an elective. These five are Concert Band, Symphonic Band, String Orchestra, Symphony Orchestra, and Jazz Band. Percussionists in Concert Band work together while playing through a piece. Concert Band and String Orchestra do not require auditions to join and consist mostly of freshmen. Higher level musicians often audition for Symphonic Band or String Orchestra. Any one of these classes provides numerous benefits that can help with future college paths or provide a way to relieve tension from a stressful day. Music requires the integration of hand-eye coordination, rhythm, tonality, symbol recognition and interpretation, attention span, and other skills that are not factors in most electives. In addition, critical thinking, problem solving, and learning how to work cooperatively toward shared goals are all skills reinforced through music education. “One of the main advantages points of band is that students really have to use different parts of their brain to process music while they play. Making music is completely different from doing a math problem, so it challenges students in different ways,” said Assistant Instrumental Music Director Lieven Smart. Band students also form friendships through their shared goals and passion for instrumental music and similar goals. 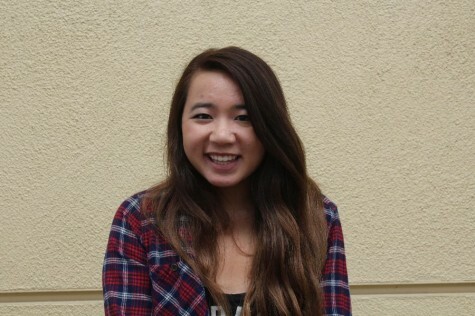 “I’m so glad I decided to continue band in high school. I met some of my closest friends in band because we both played the same instrument,” said sophomore and Concert Band member Patrick He. Participation in music also translates to success in educational studies. Band reinforces the skills of cooperation which are among the qualities now most highly valued in business and industry. On a day-to-day basis, band allows some to focus on music and relieve stress from school or other extracurricular activities. “Band is my one class where I can just have a good time playing my instrument with my friends, and I’m really grateful for that opportunity,” said sophomore Liam Jocson. Overall, band has numerous benefits and opportunities that range from cheering up a student when they have done badly on a test to helping them develop skills that can be applicable for the rest of their life.